We survive a daring escape from the All-Father temple only to receive dire warnings from the red dragon Klauth. Right on cue we felt the entire mountain shake. The oracle continued to speak dire warnings and we looked at each other with wide eyes. We dashed back through the portal into the main chamber with the giant statues. It was our first time laying eyes on the ancient blue dragon. The one who had caused all this chaos for the giants, and thus the world. She approached like a smug cat who had cornered a mouse. “How curious that you small creatures would go to such trouble for these brutish, corrupted giants, who did not but enslave and degrade your kind? It was we dragons who raised you up, liberated you, empowered you to throw off your chains.” Her sneer was palpable. It was all we could do to stare. We’ve had heavy story-focused sessions before, but never has it felt like such an emotional gut-punch. 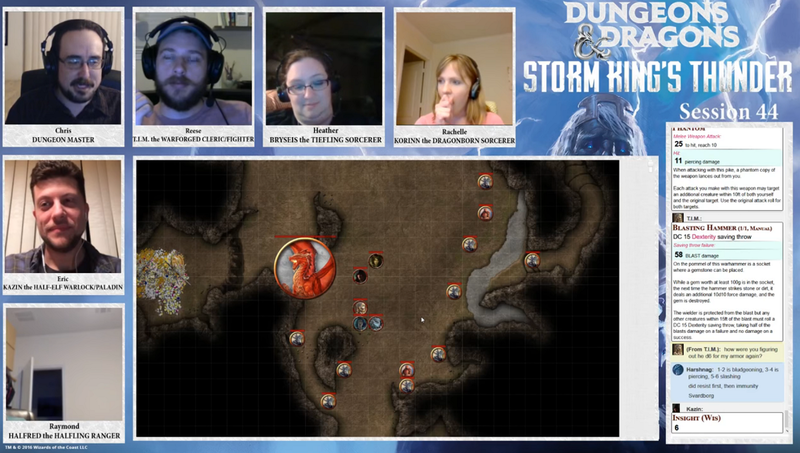 Kudos to our DM for creating another epic, cinematic event in our escape from the Temple of the All-Father, only to follow it up with a series of psychological tortures for our characters via Klauth the ancient red dragon. Last week we reached a new stage in our main quest: save the princess of the Storm Giants. In order to reach her, we’ll need to first go to one of the other giant tribes to grab their magical teleporting conch shell. We chose the Cloud Giant castle after learning they had captured our old dragon buddy Felgolas. The ghostly oracle gave us the location, and we grabbed some loot from his body (at his request!). Suddenly the entire temple began to shake, and we heard the voice of our blue dragon nemesis. We had gazed into the abyss for too long, and the abyss cometh. We raced outside to the main chamber, but the ancient dragon was there. This was our first time seeing her in the flesh, the one responsible for destroying the giant ordning and sowing chaos. Harshnag had a plan, and ordered the rest of us to flee. We remembered the small tunnels to the north that led outside. I had Kazin refuse to leave Harshnag’s side. He’d already lost one giant friend to this monstrous dragon and he wasn’t about to do it again. I literally had the DM roll contested CHA checks to try and get me to leave, at one point shrugging off the dragon’s impressive DC 20 Frightening Aura. On the second attempt Harshnag won our battle of wills, strode up to the gargantuan statue of Annam, and struck it with his runic axe. The temple shook violently and began to come apart. Kazin took a few potshots at the dragon (we still don’t know her name, which is annoying for recap purposes! ), took one last look at Harshnag, then ran after the others as we escaped the collapsing temple. We made it to the edge of the cliff outside, the way back closing behind us. Klauth’s airship flew up, offering us a ride. This would be surprising except this kind of thing actually happens pretty frequently for us. Bryseis used her pixie dust to give us temporary flight, and we all flew over to the airship. Bryseis locked herself in the captain’s quarters for the duration of the flight as we all passed out for a much, much needed Long Rest. We did get some spiffy loot from the temple. T.I.M. 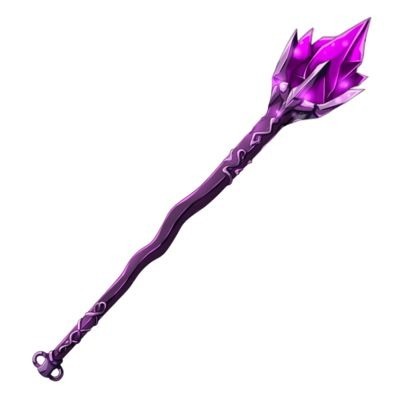 identified a warhammer as a Blasting Hammer, capable of creating a giant explosion when armed with an expensive gem, as well as Flux Plate, which shifts immunities and vulnerabilities during each rest. Bryseis acquired a Crystal Wand, which can freely empower spells to a higher spell slot (10 charges) while I was super stoked to get my first magic weapon in Phantom, a magic Pike that basically has 10 ft splash damage. Kazin: Kazin’s entire monastery and order, the Mind-Zei, has been either wiped out or enthralled by the K-Society, which we know is lead by a Kraken. We’ve had a few run-ins with them before, and it sounds like dealing with them (and my now evil brethren) will be part of our main quest. T.I.M. : We already kind of knew the sordid history behind T.I.M., which has gotten pretty crazy. But Klauth did give us a quest: read the book by the ‘light in which it was written,’ which was the fireplace in the cabin he was ‘born,’ back in Ardeep Forest near Waterdeep. This should provide some more answers about who T.I.M. really is. Halfred: Halfred’s beloved mentor, Wuce Bwayne, has been captured by the K-Society, becoming intertwined with Kazin’s backstory. Which means we should be tackling him further into the main quest. Bryseis: The Weevil has escaped! Of course he did. We hadn’t heard from him in awhile, we’ve been a tad busy. He’s already caused a lot of problems for us. Klauth told us that it was the Weevil that sold out Wuce Bwayne. We’ll need to check in with the Harpers to get more information. Korinn: We had saved some of her tribe, but others had been taken, presumably to join the blue dragon’s armies. 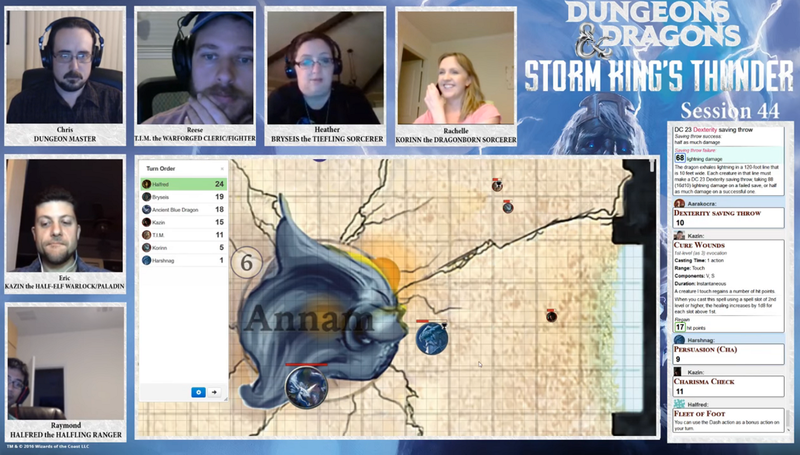 Klauth also gave us the quest to kill the blue dragon, sever her horn, and give it to Klauth. I picked up that this is a terrible idea. Klauth is basically a bully, powerful though he is, and would rather others do his dirty work. Screw that guy. Though we will take a ride on his airship at least one more time. We traveled via airship to Neverwinter. I attempted to learn more about the airship, possibly as a way to take it over for ourselves. It uses warring fire and air elementals, which is badass. But we as a party couldn’t really decide if we wanted to commandeer it, destroy it, or leave it alone. Halfred and I decided to attempt some sabotage ourselves, but I failed miserably on my rolls and Suggestion spell, so we simply disembarked and let it fly off. Probably for the best. Maybe it’ll come back and save us again later on. In Neverwinter we visited Miri Greycastle, hero of our Princes of the Apocalypse campaign, who was supposed to be keeping the Weevil under house arrest. The Weevil had indeed escaped, killing Kethra’s guards (another PotA veteran) in the process. Both characters were furious, and we clearly have another quest on our hands, with the first step checking in with Krowen in Everlund. We have a bunch of new tasks on our plate, all stemming from terrible things surrounding our characters and our enemies. Our friends and allies are dead or captured while our enemies prosper. I think I preferred the murderous temple dungeon!